the goddesses of change and transformation! She is known to us as Kali, Hecate, Cerridwen, Lilith, Persephone, Fata, Morgana, Ereshkigal, Arianhrod, Durga, Inanna, Tiamat, The Morrigan, and by a million, million other names. I am the velvet depths of the night sky, the swirling mists of midnight, shrouded in mystery. I am the chrysalis in which you will face that which terrifies you and from which you will blossom forth, vibrant and renewed. Seek me at the crossroads, and you shall be transformed, for once you look upon my face, there is no return. I am the cauldron in which all opposites grow to know each other in Truth. I am the web which connects all things. Most importantly, child, I am you. I am part of you, and I am within you. Seek me within and without, and you will be strong. Know me. Venture into the dark so that you may awaken to Balance, Illumination, and Wholeness. SHALL WE DANCE? In this experiential workshop we will connect and work with different aspects of the Dark Goddess for change and transformation. Through various guided meditations you will connect and work with each Dark Goddess in a powerful process of death and re-birth. Each Dark Goddess will take you on a journey through the Underworld that will challenge you but will ultimately help to set you free. 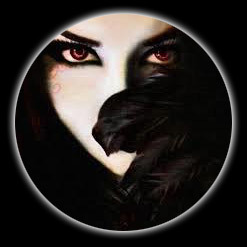 The Dark Goddess awaits - do you hear her call - are you ready to lay down your fear and begin the dance?